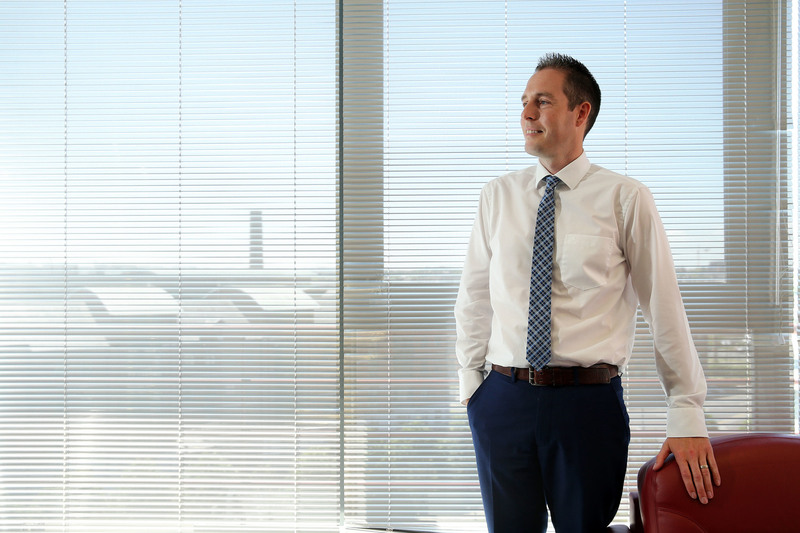 A CONTROVERSIAL fund for community hall improvements launched by outgoing DUP minister Paul Givan was not equality tested ahead of the cash being allocated to the winning bids, it has emerged. The £1.9million grant scheme - the value of which nearly quadrupled from the original £500,000 earmarked – was not subject to equality screening due to an “oversight by departmental officials”. The key screening exercise was completed five days after Communities Minister Mr Givan announced that 90 organisations were successful in winning a share of the funding pot. It has also emerged that the document was only signed off by a senior official and published on Thursday of this week – three days after The Detail asked the Department for Communities (DfC) to confirm if its Community Halls Pilot Programme had been subject to equality screening. Civil liberties campaigners first asked for the relevant documentation more than two weeks ago. The development comes one week after The Detail revealed that the department failed to assess how closing the Líofa Irish language bursary scheme would affect the promotion of equal opportunities in Northern Ireland. In response to queries about the halls fund, a DfC spokesperson said: “Due to an oversight by departmental officials, an equality screening exercise was not carried out before the pilot community halls scheme was launched. “An equality screening exercise has now been completed. This screening has concluded that this policy will have no adverse impact on any Section 75 category. Mr Givan previously rejected criticism from Sinn Féin that the fund was “significantly directed at one section of the community” after it emerged a considerable number of the almost 90 successful applications were for orange halls. The Detail can also reveal that 89 organisations have received funding – and not 90 as previously announced by the department. Saint Saviour’s Parish Church in Kells, County Antrim, was said to have received £16,000, but it has now been confirmed that the Church of Ireland property was included on a list of successful applicants due to an “administrative error”. A DfC spokesperson said: “Due to an administrative error, one community hall appeared on the list of successful applications being taken forward to detailed assessment. “The error has now been rectified reducing the number of community halls on the original list from 90 to 89. UPDATE: Since The Detail published this article, the Department for Communities held an appeal hearing and Saint Saviour’s application was accepted. The department re-published its list of successful community hall fund recipients on Monday, February 13 to include the church, which brought the number of groups to win funding from 89 to 90. It said Saint Saviour's was awarded £20,000. The map below has been updated to reflect this development. The map, prepared by The Detail using the department’s data, shows the locations of halls that will benefit from the grants. Following the failure to equality screen the halls' fund, a complaint has now been made by civil liberties group, the Committee on the Administration of Justice (CAJ), to the department. CAJ Deputy Director Daniel Holder had originally asked DfC for a copy of the screening document on January 16 – two days before the exercise was completed internally and more than two weeks before it was signed off by a senior official. The dates for the equality procedure are contained in documentation now available on the department’s website. Mr Holder is critical of the process due to the screening exercise taking place after the monies were allocated. The CAJ asked DfC for a copy of its equality screening for the community halls scheme on two occasions – January 16 and January 25 this year. It lodged a formal complaint on January 26 after the department failed to provide the document, with a second complaint being made today. The Equality Commission for Northern Ireland can issue enforcement proceedings against public bodies that fail to meet equality requirements. On Monday The Detail asked the commission if it planned to investigate claims that DfC failed to equality screen the community halls and Líofa grant schemes. Its response on Tuesday said: “The commission may initiate an investigation under Section 75 of the NI Act, where it believes that a public authority may have failed to comply with its approved equality scheme. The community halls screening document appeared on the department’s website on Thursday. The policy was first launched by First Minister Arlene Foster and Communities Minister Paul Givan at Salterstown Orange Hall in Magherafelt on October 19 last year. Mr Givan announced on January 13 that 90 out of more than 850 applications were successful in their bids for funding. The scheme offered grants of up to £25,000 for minor refurbishment projects such as “boiler replacements, disability access, installation of new toilets, kitchens and car park improvements”. In a document published by the Department for Communities in May 2016 it stated it would carry out equality screening to assess the impact of new policies. The equality screening document published by the department on the community halls fund stated that it did not need to carry out a further equality impact assessment. Today The Detail asked the Equality Commission if it plans to investigate DfC for publishing the screening document late. A spokesperson for the commission said: “The statutory duties on public authorities set out in Section 75 are clear: they must pay due regard to the need to promote equality of opportunity and regard to the desirability of promoting good relations in carrying out their functions. 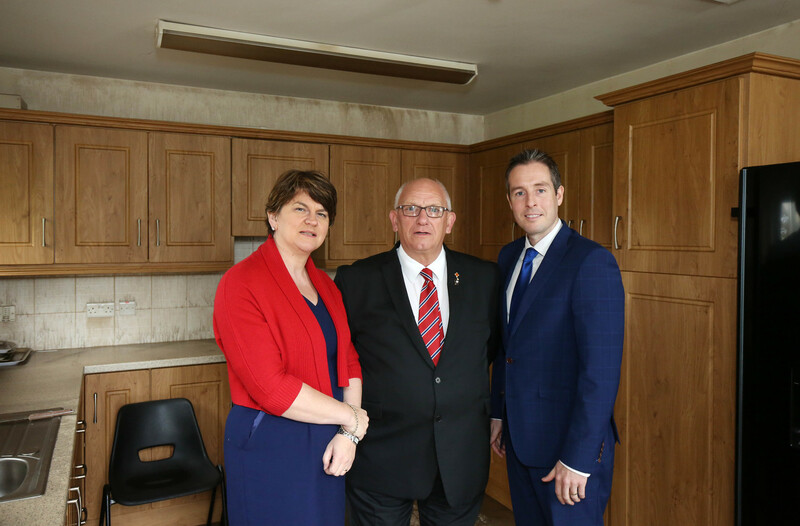 DUP leader Arlene Foster and outgoing Communities Minister Paul Givan with Billy Thomspon, centre, from Orange Community Network, at the launch of the community halls fund in October last year. The community halls funding scheme was first announced on October 19 last year. The Detail can also reveal that six days later the Equality Commission contacted DfC about an earlier investigation it had held into the department’s work. In November 2015, the commission found the former Department for Social Development – now DfC - had previously failed to consider the equality impact of a number of housing schemes. It ordered the department to comply with remedial action within nine months, which included ensuring that the promotion of equal opportunities is a key consideration when new policies are being developed. The Equality Commission advised the department on October 25 that it was satisfied the department had complied with the recommendations made in 2015. The community halls controversy has now emerged in the aftermath of the housing investigation.